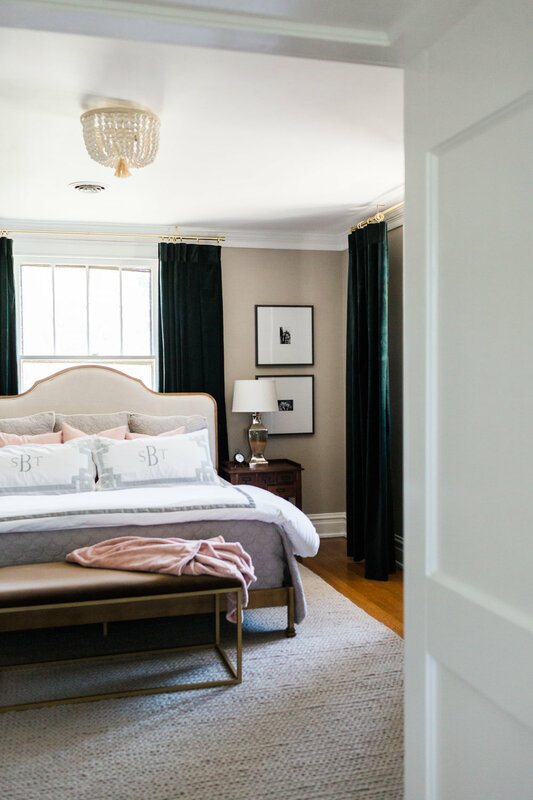 Fresh, functional, and true to the house’s 1927 origin were the requests for this master bath and bedroom renovation. The black and white basket weave tile, light blue-green penny tile and the subway tile all hark back to the style the house was originally adorned with. Prior to the renovation, the closets occupied the space where the new vanities reside. Moving the closets into the bedroom added function to a bedroom that previously had an abundance of unusable space.